Ruby has an active ecosystem built around it, one that is concerned about the tools used by everyone in it. This is fueled by the love members of the community have for their favorite language. Because Ruby and Rails have such great communities, many projects and tools have been created to solve common problems. One of the most common issues is content management. Content Management Systems (CMSs) are important tools in our internet-based world. They help in the creation, management, and maintenance of web pages and other content from a single interface. There are various CMSs in the Ruby ecosystem and we will be doing a roundup of CMSs available for Rails. RefineryCMS is an extendible content management system that supports Rails 4.2+ (and work is ongoing for Rails 5 support). It allows users perform standard content management tasks such as; create, edit, and manage content on a website. RefineryCMS is has the won the heart of the Ruby ecosystem as it is considered on of the best CMS. RefineryCMS is tailored to meet the needs of clients who do not want to get their hands dirty with code. Just like you can get you website up and running in WordPress without coding, you can do so with RefineryCMS. RefineryCMS can be used to do almost anything that you need to do. The great list of engines will help you meet you needs or the needs of you clients. If you have a working Rails application and wish to integrate RefineryCMS into your application, you are covered on that aspect. Trust me! There is a guide available to help you out! It has a great community built around it. This makes it easy to get help as contributors are active on the Gitter channel. Great documentations and guides to follow. There are lots of engines available to help you extend your website to fit what you want. It is available in over 30 languages. Post scheduling and previewing are available by default. Working with Refinery – SitePoint Ruby. If you are coming from WordPress and/or looking for something that feels more like WordPress in Ruby, we got you covered. Allow me to introduce CamaleonCMS. CamaleonCMS is a dynamic content management system based on Rails 4 which brings to you the feel of WordPress. Just like WordPress, CamaleonCMS can be adapted to any Ruby on Rails project and used by clients who have no coding knowledge. If you are a developer who has a client that wants a blog tailored to look like WordPress, this is for you! CamaleonCMS can be used for other things aside a blog, such as an e-commerce store or static website. Adaptive to any kind of project. Themes and plugins are available. Can be used to build an e-commerce store. Ability to have multiple sites. Even though it feels and looks like WordPress, it isn’t WordPress. This may be a con for you. Compared to RefineryCMS, the community is still very young. CamaleonCMS is more like a new kid in the block. Up and Running with CamaleonCMS – SitePoint Ruby. My first-hand experience at creating a CMSâ€Šâ€”â€ŠCamaleon for Beginners and Programmers. Each content management system stands out because of the distinct feel and power they provide their users. LocomotiveCMS comes with one that is different from what others offer. It takes a design approach, offering you a platform to churn out neatly designed websites that your clients will love. It separates business concerns from developers concern, providing you with user-friendly interface. If you have clients with zero knowledge about development who are willing to pay for premium services, LocomotiveCMS is an awesome tool to use. The user experience makes the management of websites very easy. You will be surprised that your clients will not bother you about the management of their sites. No development knowledge required to work with LocomotiveCMS. Awesome support from the people behind LocomotiveCMS. Alchemy CMS was originally created by Thomas von Deyen and Carsten Fregin. It is currently being developed by magic labs and has a total of 64 contributors. Alchemy CMS introduces a new approach to content management system. It separates content management from development. The belief behind Alchemy CMS is that there should be a separation of concerns between what the content manager does and what the web developer does. This gives the web developer the needed power and flexibility to implement designs and layout without fear of the content manager breaking it. AlchemyCMS is great for web developers who want to ensure that their clients do not tamper with the layout and designs of the website. It is also fit for teams where those responsible for content are not the web developers. Alchemy CMS can also be used for ecommerce purposes with the help of the Alchemy Spree Extension which functions as an AlchemyCMS and Spree connector. Alchemy CMS can be used for making static websites and blog sites. Multi-site management and multilingual support. It can be extendible through Rails engines. Good documentation and guide to follow. Getting support is really easy, as there is a slack channel available. There is a good list of extensions available. Might be difficult to get a hang of at the initially. Comfortable Mexican Sofa is a powerful Ruby on Rails content management system. It brings a lot to the table – allowing you manage multiple websites from the initial point. It also integrates seamlessly with your existing Rails applications. If you need a system that lets you manage multiple sites from the initial stage, Comfortable Mexican Sofa is a great choice! It allows you manage multiple sites from a single installation. Like AlchemyCMS, is helps you separate layouts from content. It is indeed a powerful content management system. Integrates seamlessly with your Rails application. Good amount of contributors: 102 as at the time of writting this article. Great documentation to get you started. There are not a lot of results from Google search. 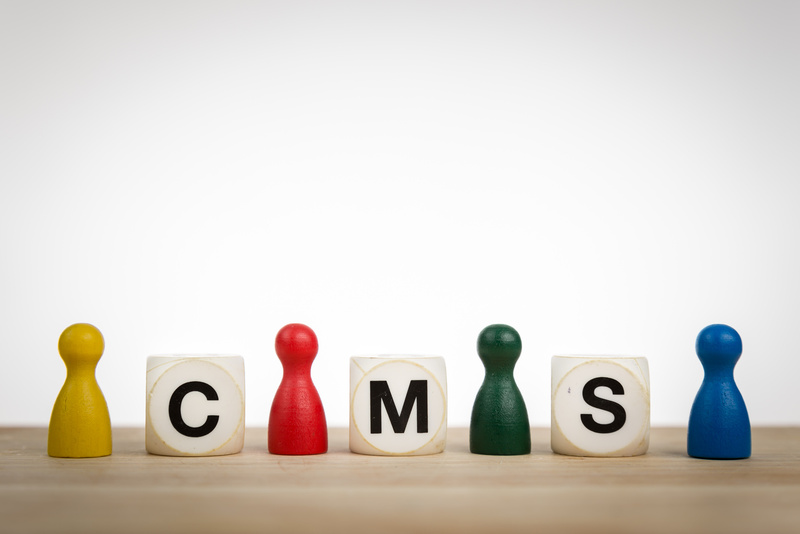 Getting help may be difficult when compared to other CMSs. Whatever you intend to achieve by using a content management system for yourself or your client, there is a Rails-based CMS that can help you out. The systems reviewed above were selected as the most active ones available for Ruby on Rails. Use the links added to explore them in depth. If you have others that you like, please add them in the comments.